Preemployment screening has been an essentially unchanged practice for years, with a focus on credit scores and verifications. But social media channels provide even better opportunities for preemployment screening because employees and job candidates use social media daily to authentically express themselves. 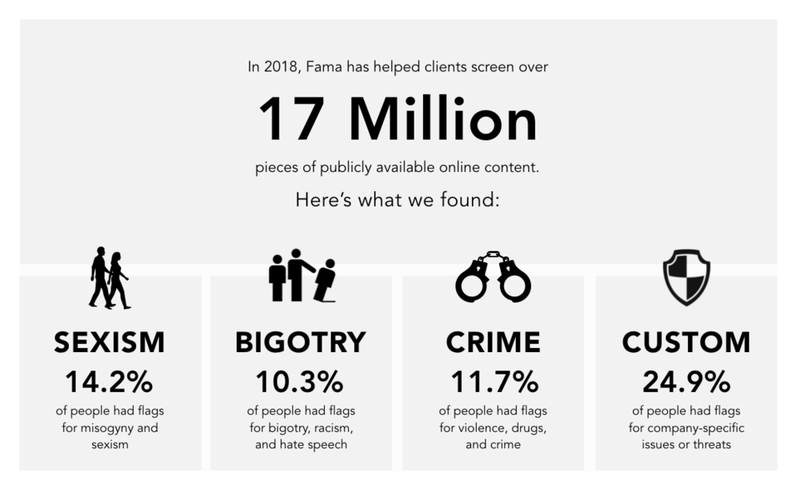 Fama gathers publicly available online content to draw out who a person really is and reduce the incidence of sexual harassment, bigotry and other types of risk in your organization. Over 70% of employers now search for candidates online or look to social media to understand who they’re hiring before they have an opportunity to damage the business. 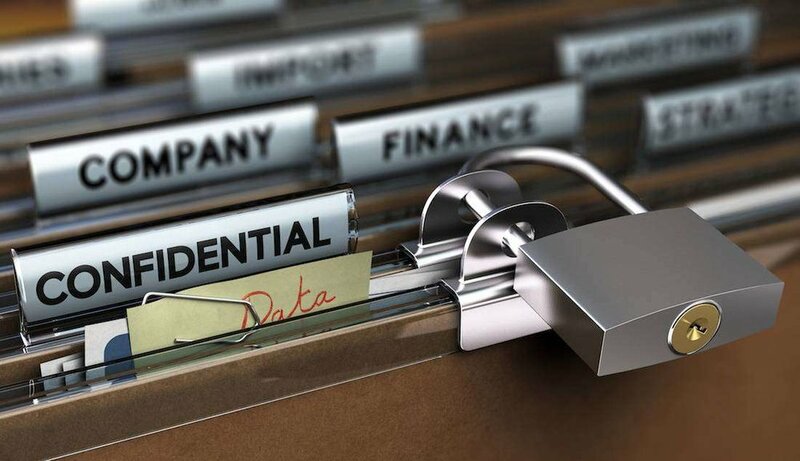 …so what’s the key to removing risk from the organization? Fama delivers our preemployment screening reports within 24 hours and with the availability of this data, employers have every reason to update their screening process to include Fama. Pre-hire background checks and initial audits are helpful, but do little to mitigate risk in the long term. Fama’s solution allows you to schedule recurring, automated screenings based on department, seniority, or behavior to maintain low corporate risk. Unlike traditional background checks, Fama's AI is custom-built to match your business needs. The solution is tailored to look for the behaviors and information that matter to your team while applying a consistent screening criteria across the board. Is online screening right for your company? Read our one-pager to learn more about how companies are currently using online content and what they are finding.